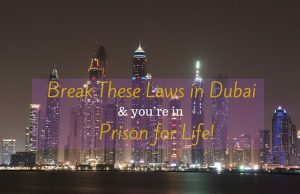 For the clubheads and bar lovers and night-time movers and shakers Dubai is the place to be. 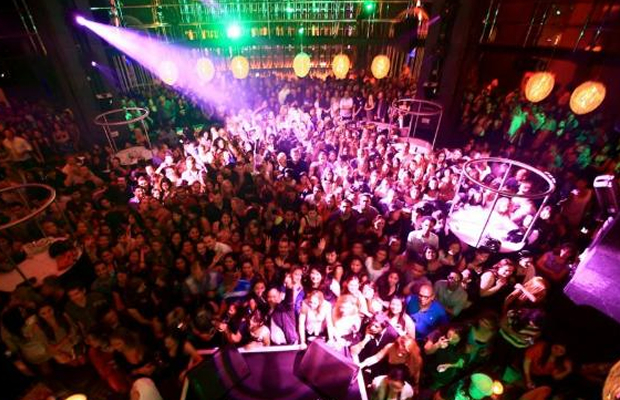 Rivalling London, New York and Paris, Dubai has safely established itself as a clubbing capital of the world. Let your hair down…Wait for the drop. To get to Nasimi Beach visitors have to cross the sparkling blue Arabian Gulf via the causeway to Atlantis the Palm Hotel. This is another club that offers an outdoor element to the music and dancing. If your legs are aching from dancing to the mix of music played by international DJs, grab a giant beanbag and relax with a Nasimi Signature cocktail on the warm sand. The setting is magical with romantic tents on the sand set against the fairy tale palace setting of the illuminated Atlantis the Palm Hotel. Special events such as Sandance and Full Moon party nights add to the exciting lure of a nightclub that attracts celebrities and jetsetters from all over the world. 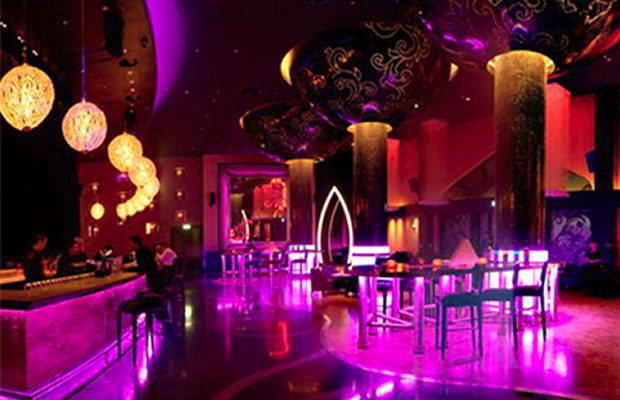 This rather swanky nightclub brings a touch of France class to Dubai with its chic, Parisian interior. The gently curving and padded bar and seating areas make for a cosy and comfortable feel yet the music leaves you in doubt that this club is right up to date. There is a succession of theme nights through the week to keep things fresh all through the week and on Tuesdays it is Ladies Night and free champagne for all the girls. 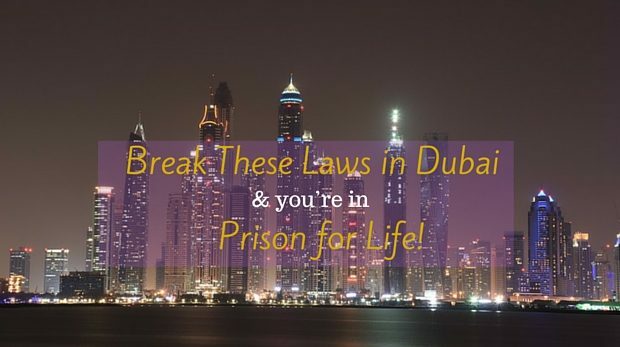 Literally and figuratively People by Crystal is at the top of the Dubai social scene. 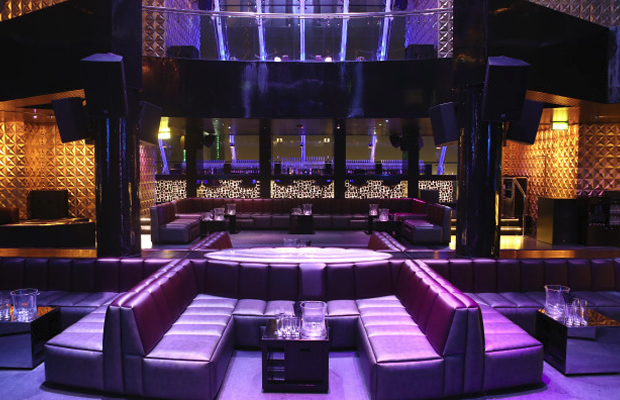 The club is on the top two floors of Raffles Dubai with panoramic views of the skyline and has been voted “Best Club in Dubai” twice by Time Out Dubai. Offering a line-up of international artists and DJs this is the ultimate in Dubai club experiences with unforgettable surroundings. Inside this award winning club guests can party until dawn under ceilings of glass, steel and mirrors, while confetti floats all around and glo-sticks make brightly coloured patterns in the crowds. When your feet get tired there are cosy booths to rest in under huge glass windows with mesmerising views of the twinkling lights of Dubai. This is a club with an enviable location! 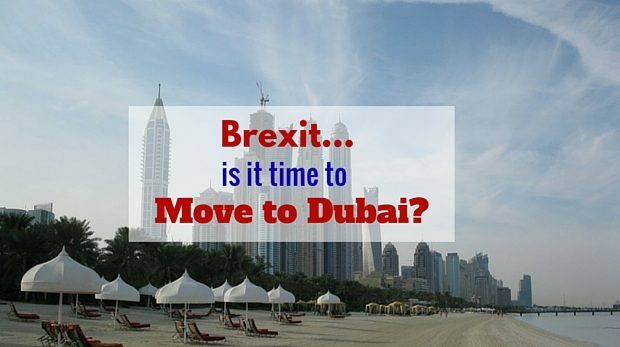 The views across the skyscrapers of Dubai and the Arabian Gulf are unbeatable in this beach-side setting. The club has a Polynesian theme and with two dance floors on different levels you are sure to hear a song to get your feet tapping. The beach level dance floor vibrates to the pulsating dance music while on the second level things are slightly more sedate. Barasti Bar is a very popular ex-pat club and does get packed especially at weekends but this all adds to the atmosphere. They also have vibrant themed parties with live music and on the giant LED screens show all the top sporting events. 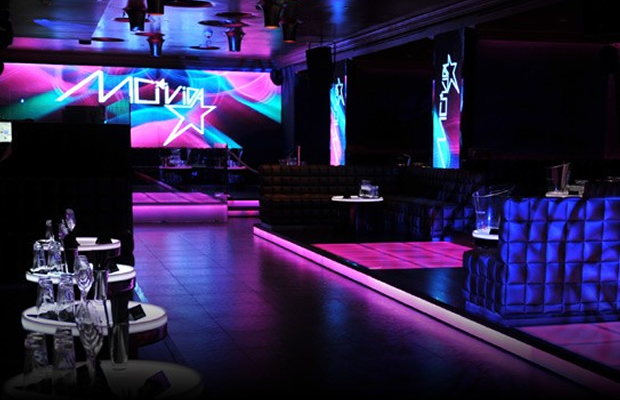 The night club of the same name is renowned in London for being an amazing bespoke clubbing experience. 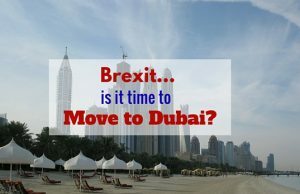 The format in Dubai has been slightly adapted for the local market and this has proved as popular in the UAE as in the UK. Winner of the World Finest Club Award and Best Club 2012 this is a nightclub that offers a mind-boggling circus atmosphere. Performers including contortionists, midgets, stilt walkers, fire eaters and sword swallowers parade before the A-List celebrities and distinguished clientele. The talented international DJs play a comprehensive mix of music to keep the dance floor full to capacity all night long. Cirque le Soir offers a dining experience with food prepared by world class chefs and the in-house mixologist and sommelier will ensure you have just the right drinks to complement your meal. You can’t get a better location in Dubai than this. 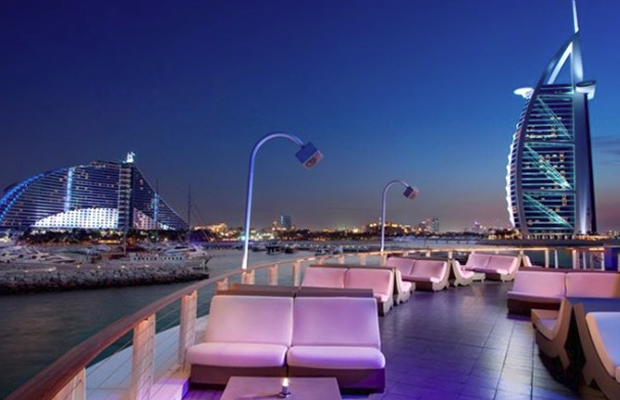 At the end of the Jumeirah Beach walkway is a club that is equally popular with discerning locals and visitors alike. With breathtaking views and the finest of Pan-Asian cuisine there is more to 360º than meets the eye. As the sun sets this late night venue turns up the volume and a mix of house music and live entertainment keeps the fashionable set on their feet. Not many clubs have a suspended catwalk but N’Dulge is one that can boast this unusual feature. There are three areas in the club; Lounge, Terrace and N’Dulge Arena. In the Arena showgirls and dancers put on spectacular displays while in the Lounge the music is more soothing and chilled-out. Nobu restaurant in the Lounge offers a selection of exquisitely presented sushi, sashimi and signature dishes served with elegance and style. With three bars on different levels this is a great place to go for a vibrant and colourful evening, listening to an eclectic mix of music. 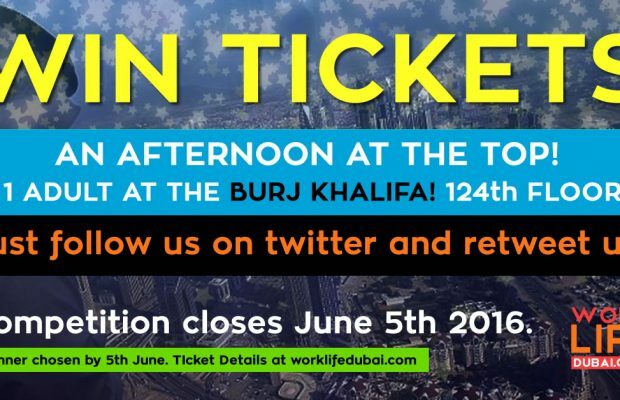 There is live music as well as the best DJs in Dubai spinning techno, house and Arabic hits. The interior is decorated in a traditional Arabian style and the two upper floors look down over the crowded dance floor. The club is popular with locals and expats and Kasbar can be found at the One & Only Royal Mirage Hotel by the Palm Jumeirah causeway. This is a classy nightclub with an exclusive reputation that is often visited by celebrities and film stars from around the world. There is a strict door entry policy and only the rich and famous in the know can get past. 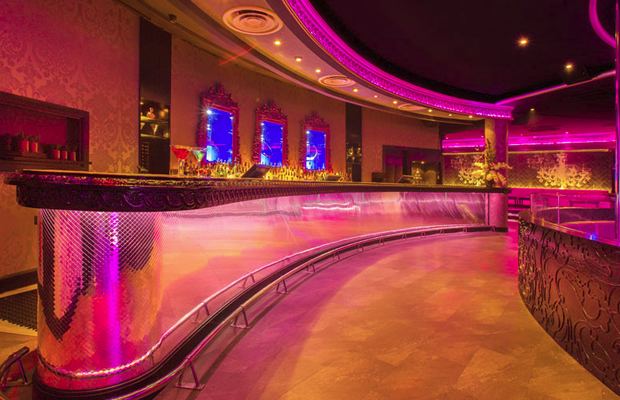 With a more intimate feel than the vast beachside clubs the interior is decorated in moody purple tones and has a capacity for just 600 people. Seating is arranged in booths, each with its own private dance floor. There is no bar, only a discreet waiter service, and the waiters have been handpicked from top clubs in London, Saint Tropez and Cannes. A small VIP area holds up to 40 guests for a cocktail reception with its own bar, DJ and dance floor. The music is a blend of Hip-Hop, R&B and Electro House brought to you by resident DJs with guest appearances by the legends of the club world such as David Guetta and Pacha. 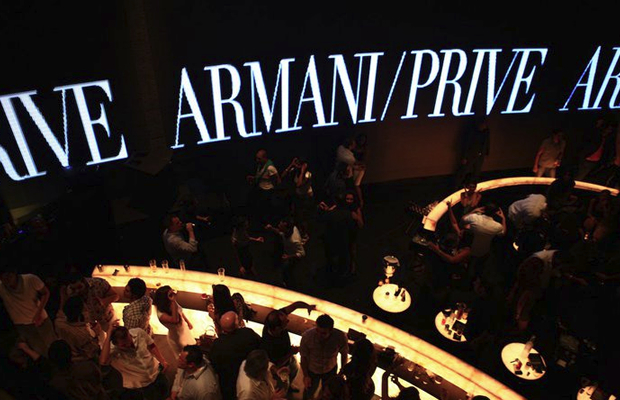 Basically Armani – in a club. Everything you would come to expect from the prestige brand. We think this picture pretty much sums it up. One of the newest clubs to be taking the Dubai social scene by storm has been a long-time favourite on the Mediterranean island of Ibiza. Within the boundaries of the Madinat Jumeirah Resort and with room for 1500 revellers this is where clubbing rises to a whole new level, well actually three of them! Pacha easily tops our nightlife in Dubai top 10. On the first and second levels the Main Room has a variety of operatic shows and cabarets through the week with club nights at the weekend. A striking feature of the Main Room is the hydraulically operated DJ stage that can move between the two levels. On the second floor is the more intimate Red Room where guests can enjoy hip-hop and alternative music and host private events. 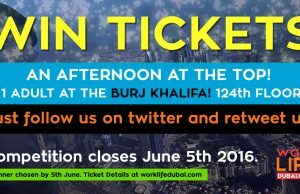 Higher up on the third floor the Tropical Garden offers spectacular views over the city, Jumeirah Beach Hotel, the whole of the Souk and across to Burj Al Arab. 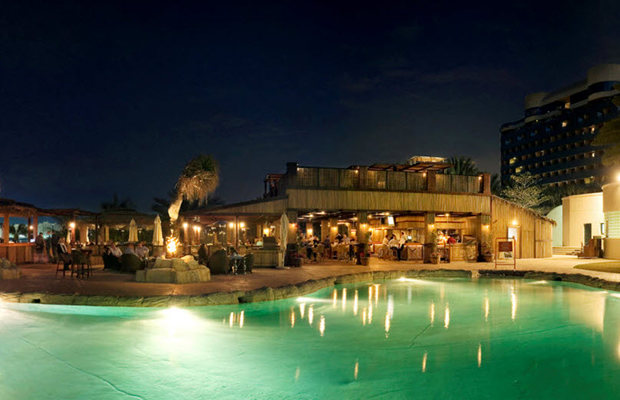 Under the starry skies guests can have a few quiet drinks, smoke some shisha or grab a snack from the barbeque. There you have it. 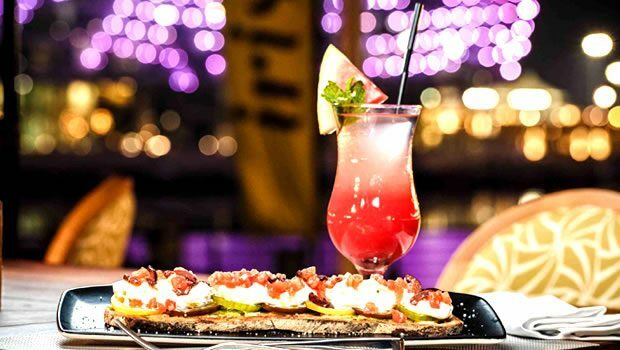 Our top 10 nightspots in Dubai. Share if you care!